Security systems generate a large number of alerts, but only a small subset of them represent critical risks to high value business data. Noise makes the task of identifying genuine data theft risks challenging, even for well-resourced security operations teams. 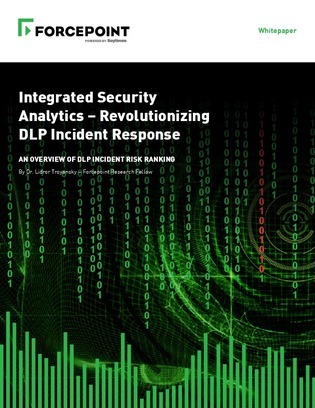 In this white paper, read about Forcepoint’s integrated security analytics system tuned for a DLP data set that enables security operations teams to be more responsive and effective with fewer resources. The white paper also provides an overview of the techniques applied and the challenges addressed by the system.